Popping up with some SN fun! We find ourselves still in Sweet November Land, enjoying a break from the winter gloom while passing the time with the Spring sprite, Bloom. It really doesn't seem like it can get much better than this I tell ya... though I have to say that I'm kinda starting to feel a little hot. Like the sun is shining brighter and the day is quickly getting much warmer. Bloom is suddenly very excited and when we ask her why, she explains that her sister must be coming! Sure enough, only moments later another small sprite comes gamboling out of the woods, a large mushroom cap perched jauntily atop her head. The two sprite siblings laugh and embrace each other then exchange a quick hello and goodbye just before Bloom bids us all farewell. After a quick wave goodbye to her sister, this new sprite introduces herself as Shroom and just like Bloom, she has an important job to do too. Wherever Shroom goes summertime follows, with it's long hot days and bright sunshine, the ripening of fruits and veggies along with the perfect excuse to swim and just relax. Hmmm... I think I could go for some of that relaxing right about now, followed by a quick dip in the river if the temperature continues to rise! Still, I was curious as to why Bloom had to leave so suddenly? Shroomie is happy to explain that that is how it's always been... she follows her sister and when they meet it is a brief yet wonderful hello and goodbye as none of the four siblings can stay in the same place together for very long. The Shroom candy kit includes; one Sweet November Shroom rubber stamp, ten 6x6 sheets of Imaginisce Twitterpated paper, small Studio G acrylic stamp, Prima flowers, Kaiser Craft pearls, ribbon, twine, buttons, butterfly punch outs, four envelopes, four card blanks and my card. The candies will stay open through Friday, February 3rd and I will announce the winners on Saturday, February 4th. 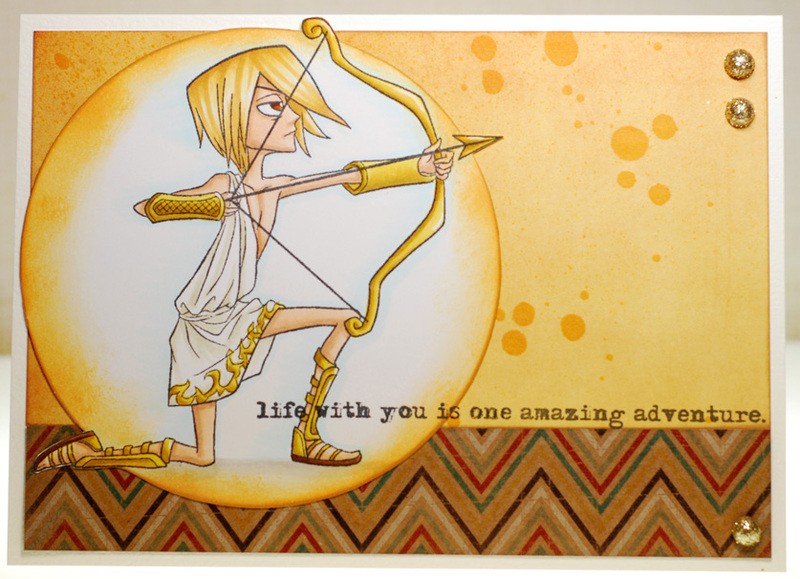 And just so you know... all of the new February stamps will be available for purchase on Friday at the ATS store. Well, that's all I've got for day two of our February SN previews... I hope you have enjoyed getting to know sweet Shroomie. And you would be nuts not to come back tomorrow for day three... see ya then! It seems that this time of month I always get the urge to visit one of my most favorite places... Sweet November Land. Perhaps you will join me on this little journey to see what magical new places and characters we can find? I don't know about you, but I've been feeling like this winter is never going to end. The cold, snow, ice and grey days are beginning to wear me down. Hopefully we can leave that all behind as we step through the veil and into some Sweet November Land sunshine. Hmmm... so far it's looking like we may be out of luck as things seem just as cold and snowy here too. But since things here have a way of transforming right before your very eyes, it is worth searching a bit further. So over the hills we go, down through the misty vale until we reach the edge of a dark, dense wood. I don't think we've ever come this way yet... do we dare travel onward? Absolutely! So into the thick trees we go and almost as soon as we do the atmosphere begins to change. The air here is warmer and sweeter and the snow disappears from beneath our feet, so we keep on walking. Finally as we near the edge of this strange wood, rays of sunshine filter in to warm our faces. Who could be behind this sudden change? The answer to that question just so happens to be resting sweetly on a mushroom only a stones throw from where we stand. It's a small sprite that I've never seen before. She says that she goes by the name of Bloom and she has a very special gift that comes with a very special job. For wherever Bloom goes springtime follows. So she, along with her three siblings, travels all over the world doing her part to help with the changing of the seasons. What a life that must be to always enjoy the mild temps and gentle breezes, the soft sunshine and fresh smell of growing things. Little Bloom just shrugs and says that it is all she has ever known so she has nothing to compare it to. 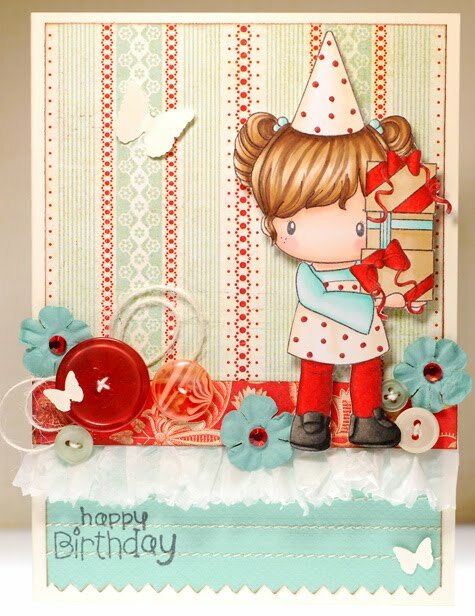 The Bloom candy kit includes; one Sweet November Bloom rubber stamp, ten 6x6 sheets of My Mind's Eye Happier paper, small Studio G acrylic stamp, Prima flowers, Kaiser Craft pearls, ribbon, twine, buttons, butterfly punch outs, four envelopes, four card blanks and my card. That's a wrap on day one of our February SN previews... 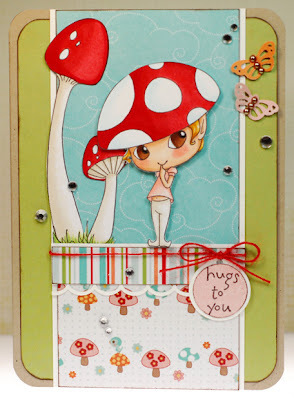 I hope you have had fun meeting this new Sweet November cutie and come back tomorrow to see who else will be popping out of the woods! Sweet November Spotlight on Sammi! Are you ready for some February Sweet November previews? I know! I can't believe it is that time already either! But before we start that all up again, I want to shine the Sweet November spotlight on February's very special SN Guest Gal... Sammi Betbeder! Now it's time for Sammi to answer the Sweet November questionnaire... which I always look forward to reading! Purple - It is the colour for passion, romance and sensitivity. It is mysterious... a mixture of coolness and warmth (just like me) lol! Mmm... my lovely hubby, Guy, my copics, coffee and chatting with good friends/family - oops...was supposed to be only one thing! sorry! I would love to be alive at the time of Jesus' life and the early church... I think it would have been an exciting time! I'd love to say Rachel, as I would love to sing that well... but in reality I guess the character I am most like is Emma- sweet & nice (well that's what people think hehe) and would do anything to help others... and whilst I am not totally obsessive compulsive like she is, I so have "some" obsessive inclinations! 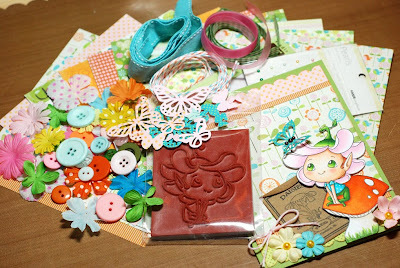 LOL, it's always nice to meet another 'slightly' OCD crafter... great answers Sammi! 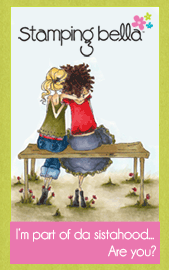 Alrighty, so tomorrow Sammi is joining Nancy, Marion,and myself when we will be kicking off the February release previews! You won't want to miss the Sweet November sneak peek week! Alrighty, well thanks for dropping by and take it easy my friends. Tomorrow I've got a brand new SN Spotlight to share with you which will be kicking off February previews at ATS... exciting! Hope to see ya then! 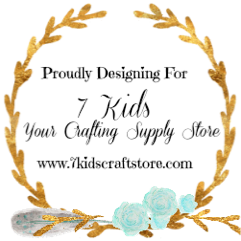 There are some big changes occurring at the Some Odd Girl blog and the first is that it will be going to a monthly format in order to offer bigger and better prizes. Normally new challenges will kick off on the first of each month but this one will be a bit different as it started yesterday and will run through February 28th at midnight EST with the winner announced on February 29th (leap year)! Along with that you will now be required to use a SOG image (clear stamp, digi stamp or sentiment). And finally the challenges will now alternate between a color inspiration, like this one, and a sketch every other month. To kick off the new challenge format we wanted to offer a fun and bright color challenge this time... the reds and teals found in the photo are truly delish! So the challenge is simple, use these colors as inspiration for your creation. If you don’t have those exactly, come as close as you can, we’re not that picky! So I hope you'll join the fun and play along... the prize this go round are Foxy and Pinwheel Panda, talk about cuteness! 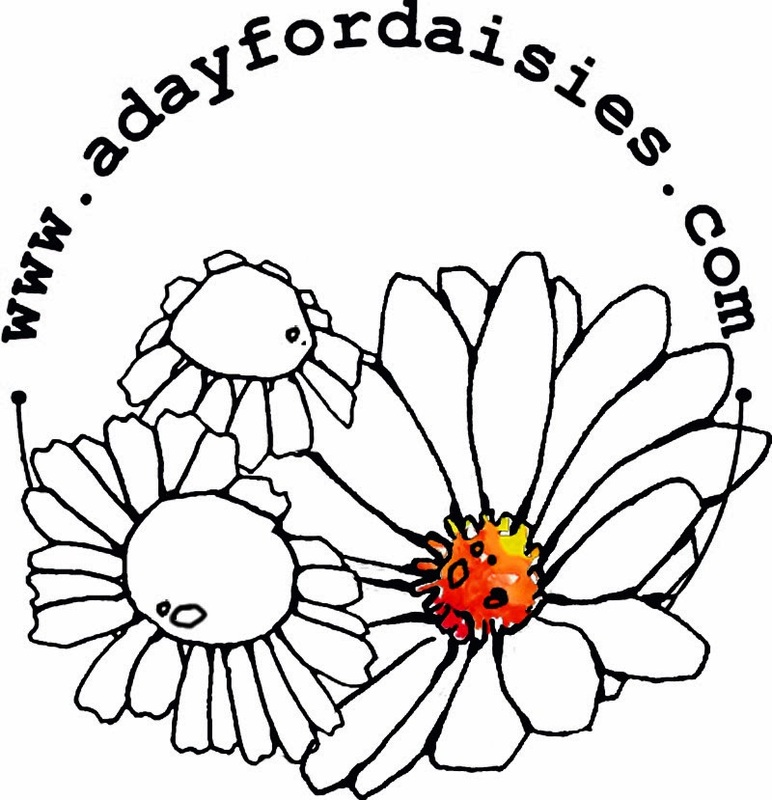 So, my 1000th post is for a brand new challenge over on the Tickled Pink challenge blog! 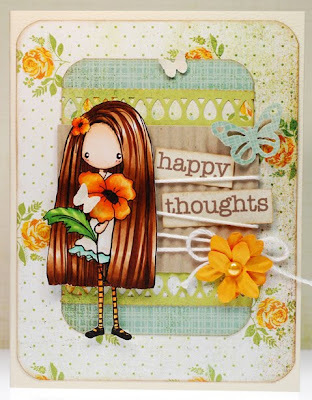 This week we want to see you create bright and colorful cards. So don't be shy when choosing your papers and embellishments... the bolder the better! 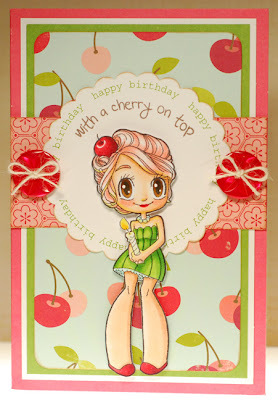 Just be sure to use a Tickled Pink cutie somewhere on your card or creation. 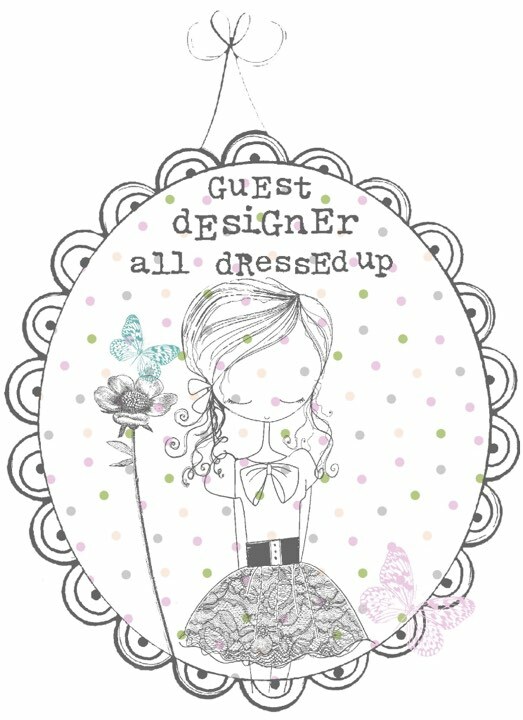 Ok, now it's time for you to get creative, check out the amazing inspiration from the rest of the design team girls and play along with us this week. There is a free digi of your choice up for grabs and the winner is now selected by random generator! Don't forget that your card must feature a Tickled Pink stamp in order to qualify for the prize... these include: Lil Lolitas and Lads, Pinkettes, Pink Pets and Cherries. All of which can be found in the Tickled Pink store. Ok, so I had started coloring up miss Poppy here a couple weeks ago for a video request that I had and it was about time that I got her onto a card. I used more Basic Grey Picadilly papers on this one... LOVE them and I'm so glad that I'm finally putting them to use. They were released at a weird time, just before the holidays started rolling around so I was already heavy into Halloween and Christmas cards thus making it so I had to set them aside for a later date. They are so delicate and feminine, without relying on lots of pink and now I am finding them to be a perfectly pretty pick me up to the cold and grey weather that we are experiencing here too. Well, I should really go get busy. Thanks so much for stopping by. Raise your hand if you're glad to see Monday done and over with... me, me, me! The week can only get better from here. At least that's what I'm hoping anyway. 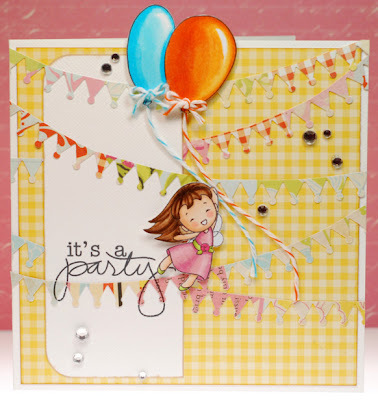 I put the rest of the card together quickly too, with the help of this new Jenni Bowlin border punch... doesn't it look like party banners when cut like that? Simple, simple, simple. 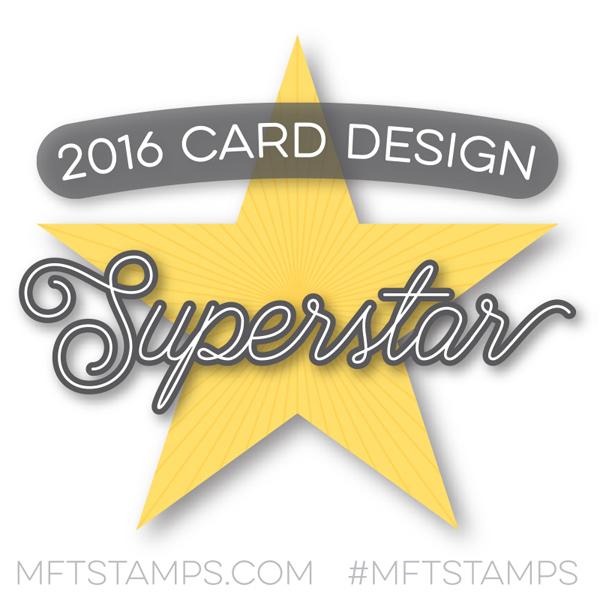 Now there are even more review preview inspirations to be found from my fellow team mates here and all of the new January stamps can be found in the ATS store. It snowed and snowed and snowed yesterday. And while I had a few things I should have taken care of, I kinda just took a day for me instead. I may be paying for it later this week but hopefully not too much. What I did do (after shoveling more snow than I would like) was hunker down in my crafty room and color up a storm of my own, LOL! Some of which included this Sugar Nellie Rosie image that I decided to also feature in a couple coloring videos... and a card making video, which is a first for me. If you're interested, and have some free time, you can check out the videos here, here and here... as well as at Color Me Copic. 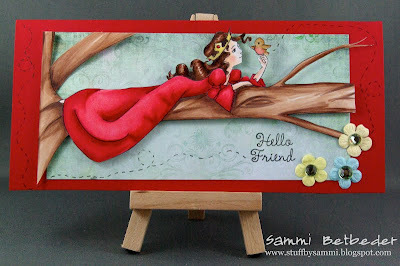 It was a little weird filming my process, especially since it is a pretty basic 'Amy' card and nothing ground breaking. Because I pretty much said everything there I'm now having a hard time thinking what to write about it that doesn't feel repetitive, LOL. Quickly, quickly, this is a card that I actually made for the ATS review preview and I'm just now getting it up to share here. 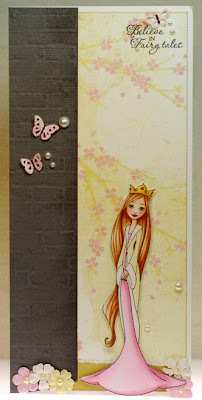 I used the super sweet Swiss Pixie Birthday Lucy and paired her up with these Picadilly papers by Basic Grey. 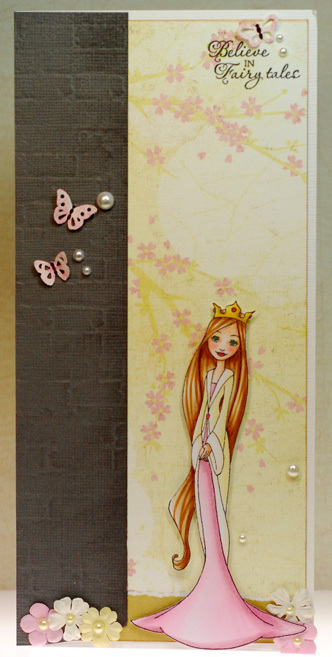 There is something about these new Pixies that has me reaching for a more homespun/shabby chic type paper when putting a card together for them... not sure why that is but they just look so cute in the more muted color palettes. Alrighty, even though I would like nothing more than to go relax first I've got to tackle a couple of tasks on my to-do list. Wish me luck in that endeavor, I'm just not feeling very motivated so far. Don't forget that all of the new SOG birthday stamps are now available in the SOG store, including the special birthday digital stamp that has been awaiting a name. 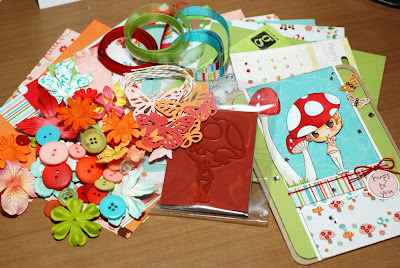 If you submitted a suggestion for it then be sure to hop on over to the SOG blog and see if you are the lucky winner! So has anyone else been hit with loads of snow this past week? We've been watching it pile up since Wednesday and it has been absolutely frigid as well. It's like Mother Nature is all of a sudden making up for the late start to winter with a vengeance, LOL! Well, I hope that whether you are snowed in or enjoying sunshine that your weekend is a wonderful one. Thanks for stopping by! So have you been enjoying the birthday celebration at Some Odd Girl this week? Lot's of fun stuff going on... including the release of three brand new clear stamp sets! And the best part is, they are available for pre-sale right now... yeah! 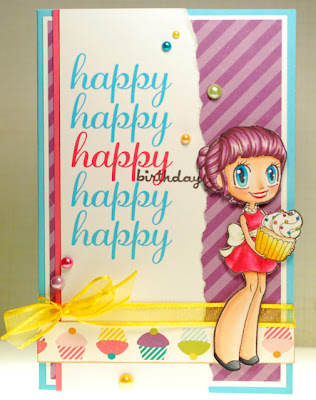 Alrighty, be sure to hop on over to the SOG blog to see all of the beautiful birthday cards that my fellow Oddies have created with these new stamps. It's always so much fun to see everyone's different takes on the various images and they are sure to inspire! Oh and real quick... 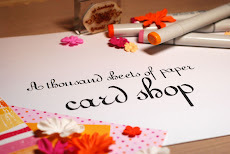 I had a question about what size I make my cards and it varies. Most of the time I stick with the standard A2 (4 1/4 x 5 1/2), A6 (4 1/2 x 6 1/4) and A7 (5x7) sizes. Though sometimes I do make square cards and when I do they are either 5x5 or 5 1/2 x 5 1/2. 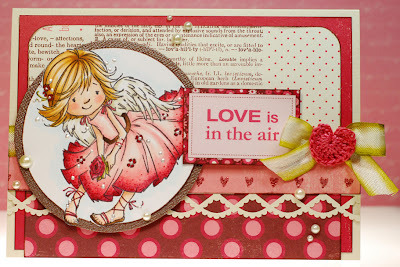 I'm back with one final rubber stamp preview from Tickled Pink's January release. We are super excited to be kicking off the year with some fresh, new images that are different and fun! This time the Lolitas and Lads have traveled back in time to the era of the Greek Gods and Goddesses and these images designed by Christina Dee are absolutely amazing. I promise that you are going to love all six of the previews leading up to the release on January 20th (that's today for all of us here in the States). Today Willow has become the alluring Goddess Aphrodite. Aphrodite is known as the Greek Goddess of desire, beauty, fertility, the sea, vegetation and most importantly... love. She represented the universal (and often irrational) power of love. Considering all of that love associated with this pretty miss it seemed only natural to create a Valentine with her, don'tcha think? I kind of went a bit crazy with the frou-frou girlie goodies on this card but Aphrodite looks like she approves, LOL! 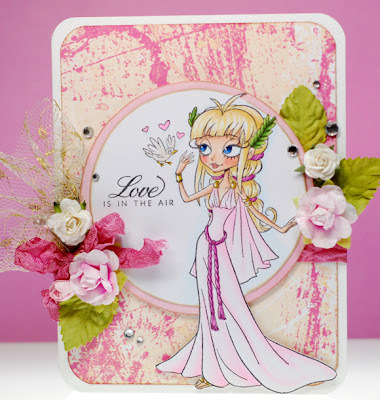 Now, as always it wouldn't be a Tickled Pink Stamps preview without a prize, so head on over to the Tickled Pink blog and leave a comment on today's post for a chance at winning your very own Willow Aphrodite digi stamp! 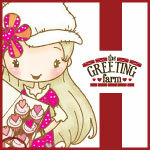 And while you are there be sure to check out the beautiful cards that my fellow Pink Ladies have created too! 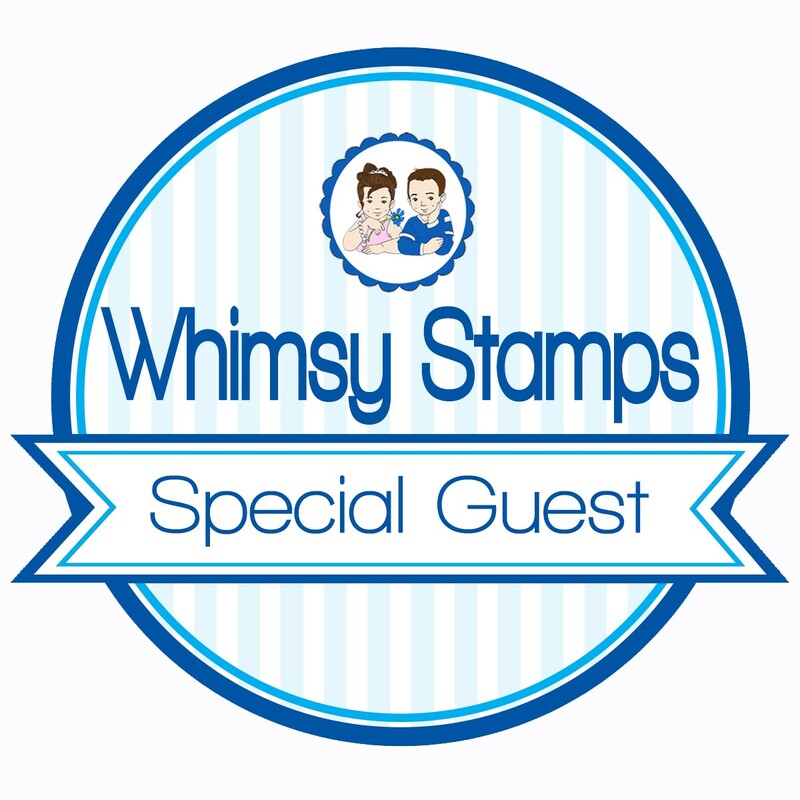 It's time for another brand new rubber stamp preview from Tickled Pink! We are super excited to be kicking off the year with some fresh, new images that are different and fun! This time the Lolitas and Lads have traveled back in time to the era of the Greek Gods and Goddesses and these images designed by Christina Dee are absolutely amazing. I promise that you are going to love all six of the previews leading up to the release on January 20th (Jan. 19th for those of us in the States). Now, as always it wouldn't be a Tickled Pink Stamps preview without a prize, so head on over to the Tickled Pink blog and leave a comment on today's post for a chance at winning your very own Lestat Apollo digi stamp! 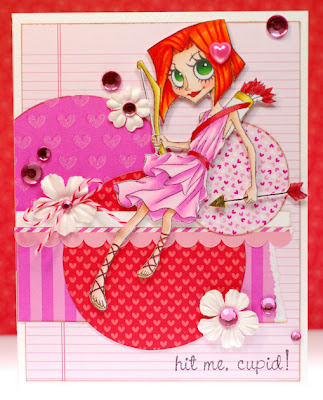 And while you are there be sure to check out all of the awesome cards that my fellow Pink Ladies have created too! SOG is turning 2 HOP! Just a quick peek... there might be candy! 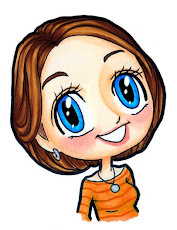 Sweet November Spotlight on Marion!